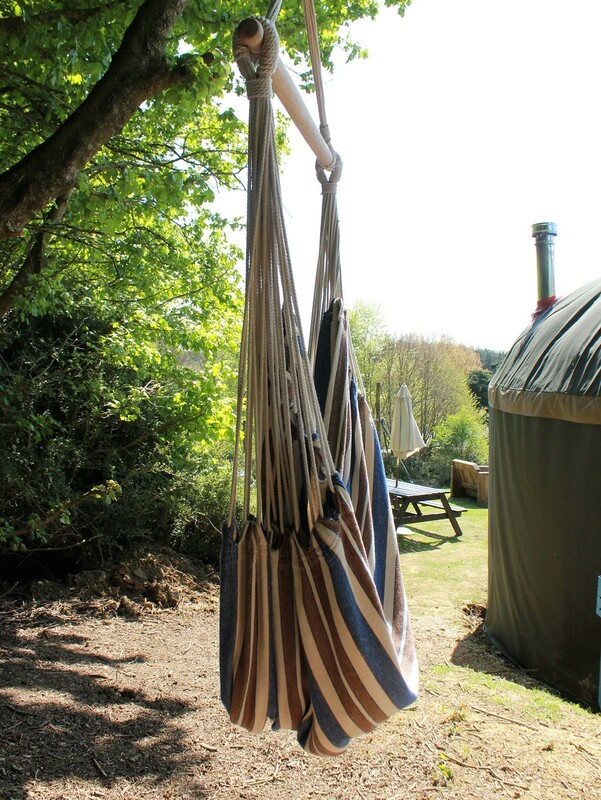 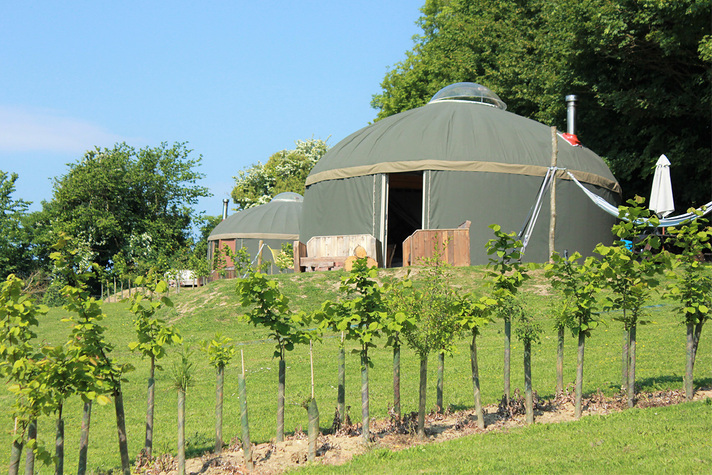 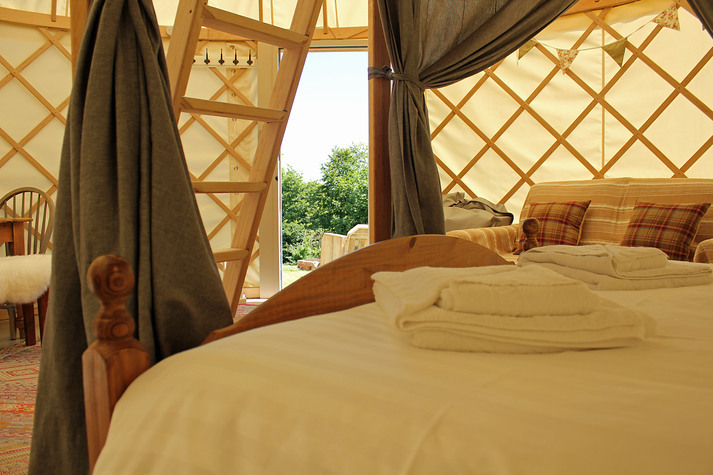 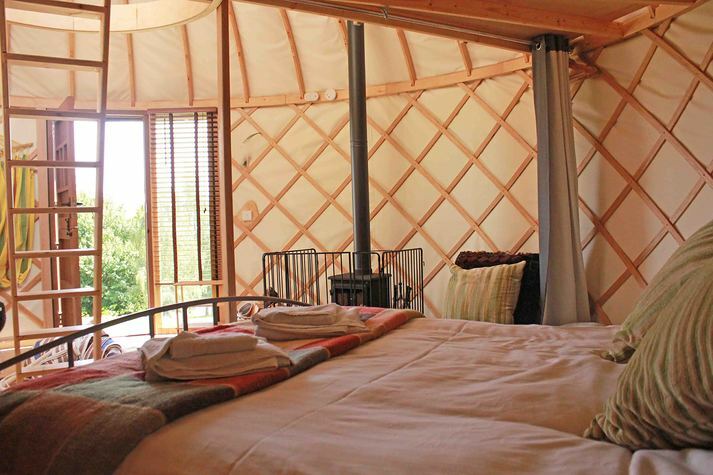 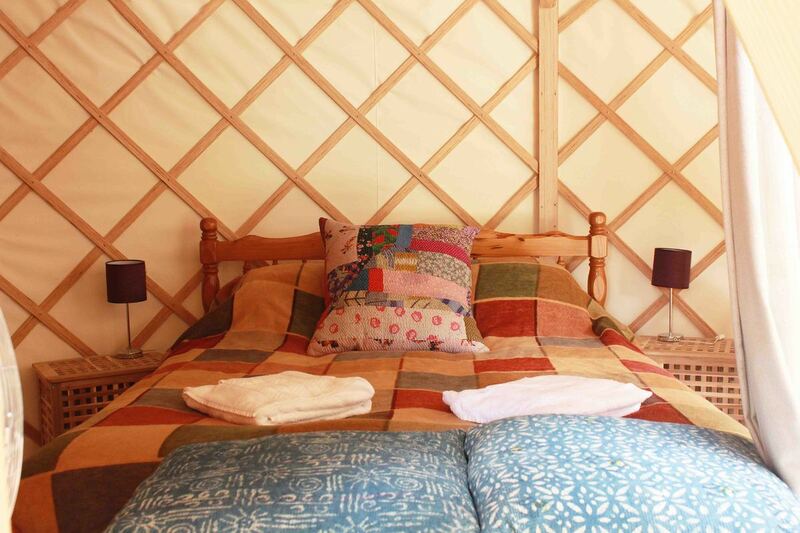 Our beautiful yurts have been handmade on the Isle of Wight and sit in a private field up behind the farm. 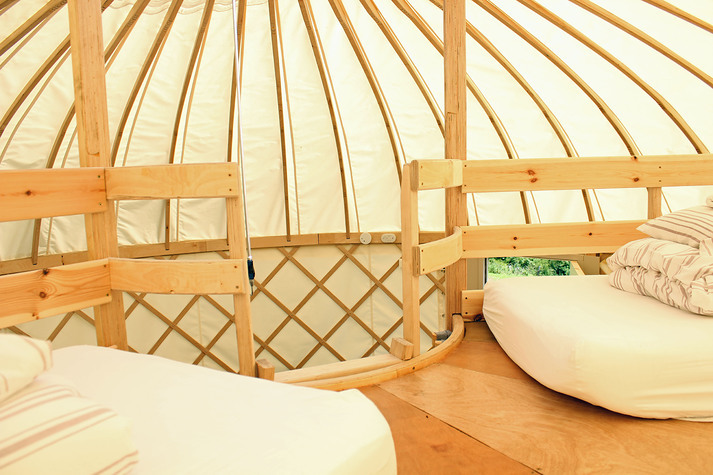 They're perfect for couples and small families of 4. 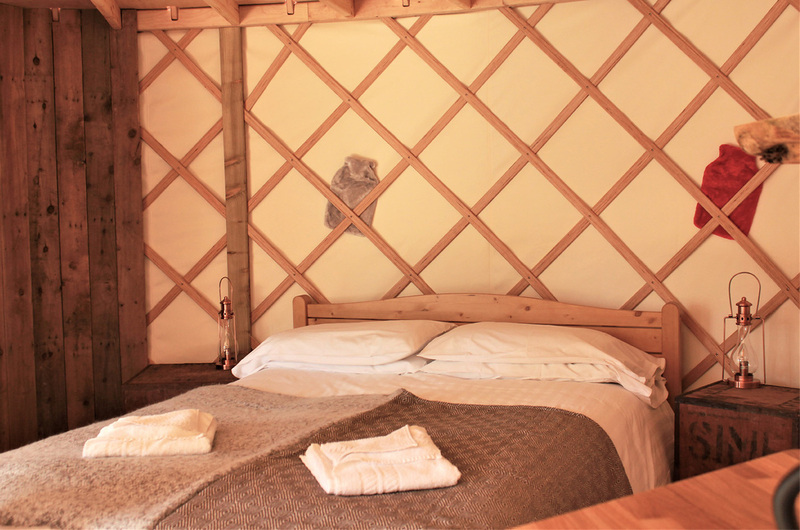 However, they can sleep up to 6 in one kingsize double bed downstairs and four full size single mattresses upstairs. 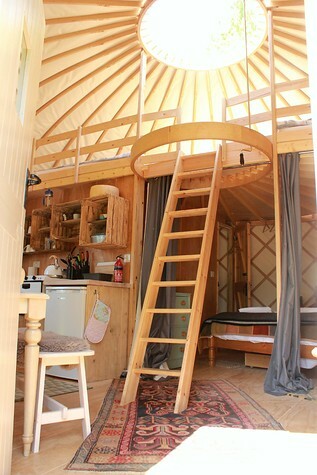 There is a ladder that leads up to the mezzanine deck. 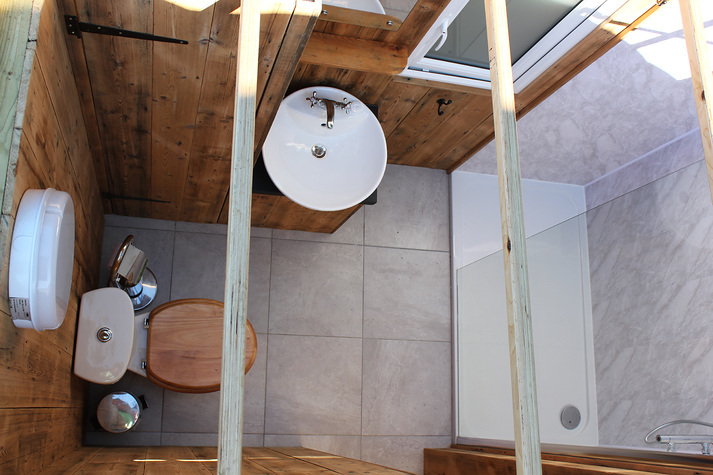 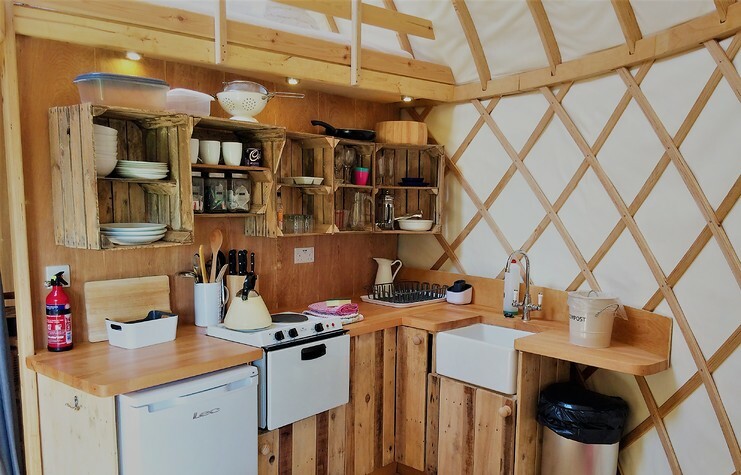 They have fully equipped kitchens with oven and hobs, fridge with small freezer compartment, dining space and ensuite bathroom with walk-in shower. 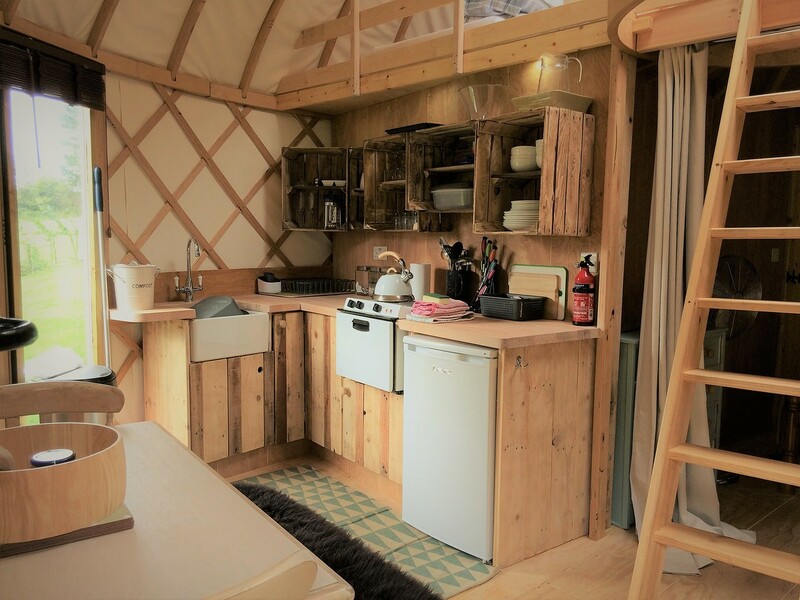 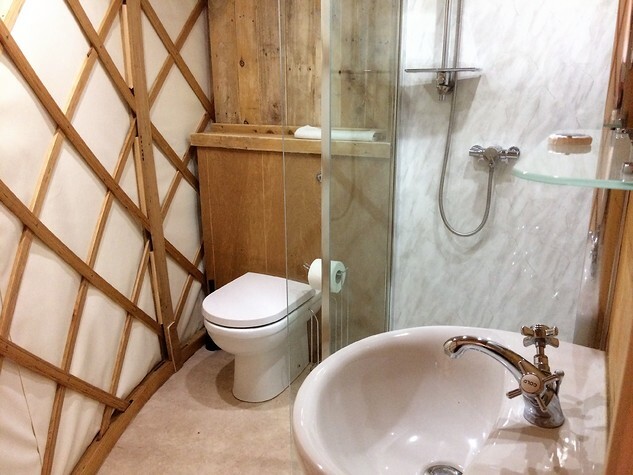 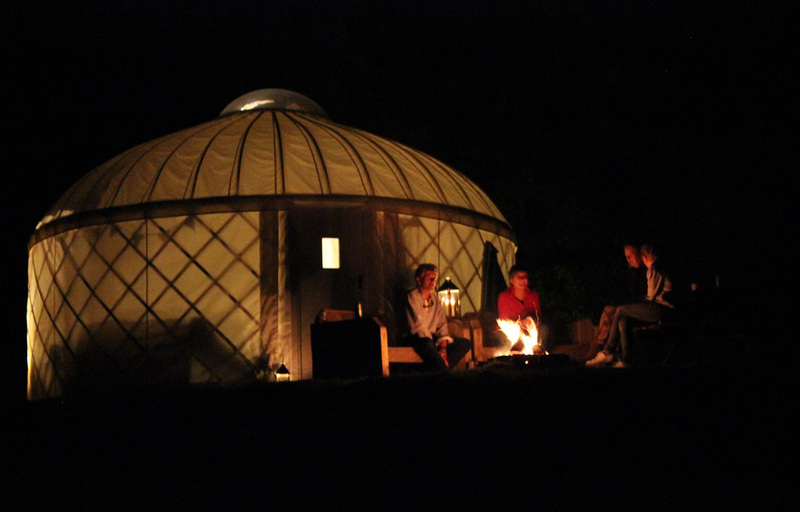 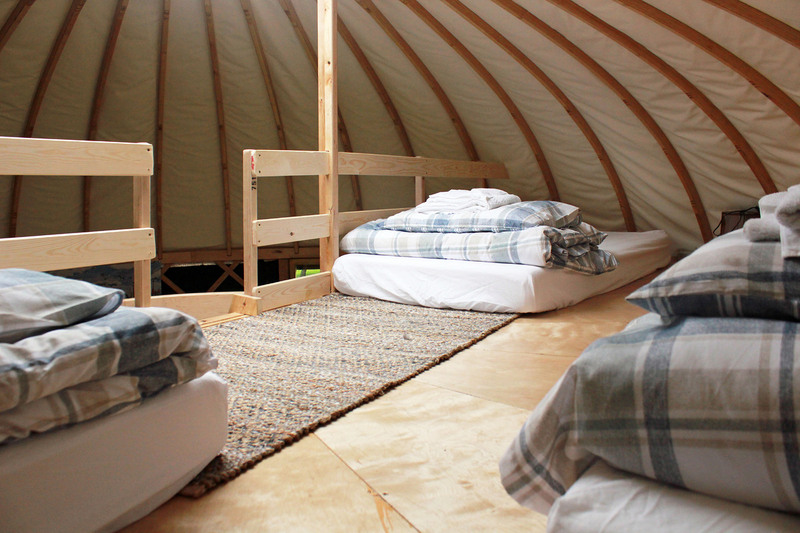 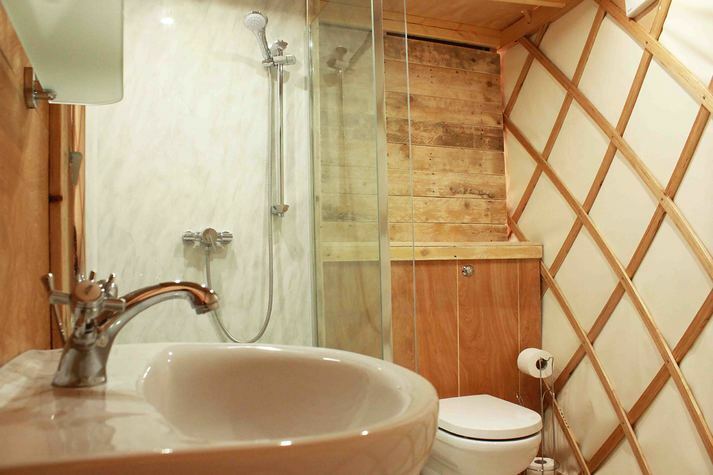 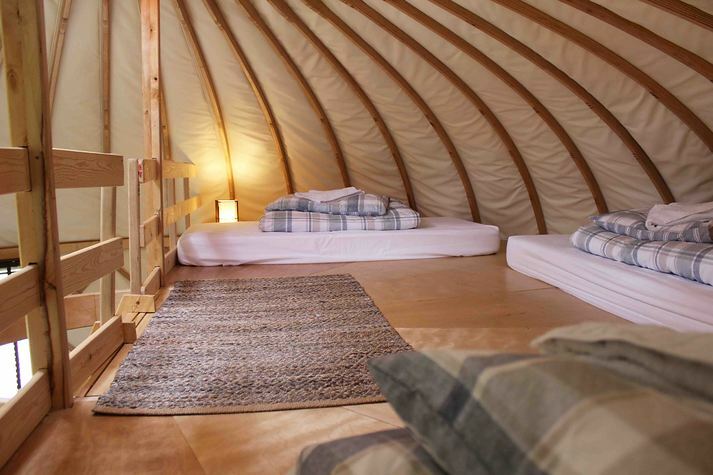 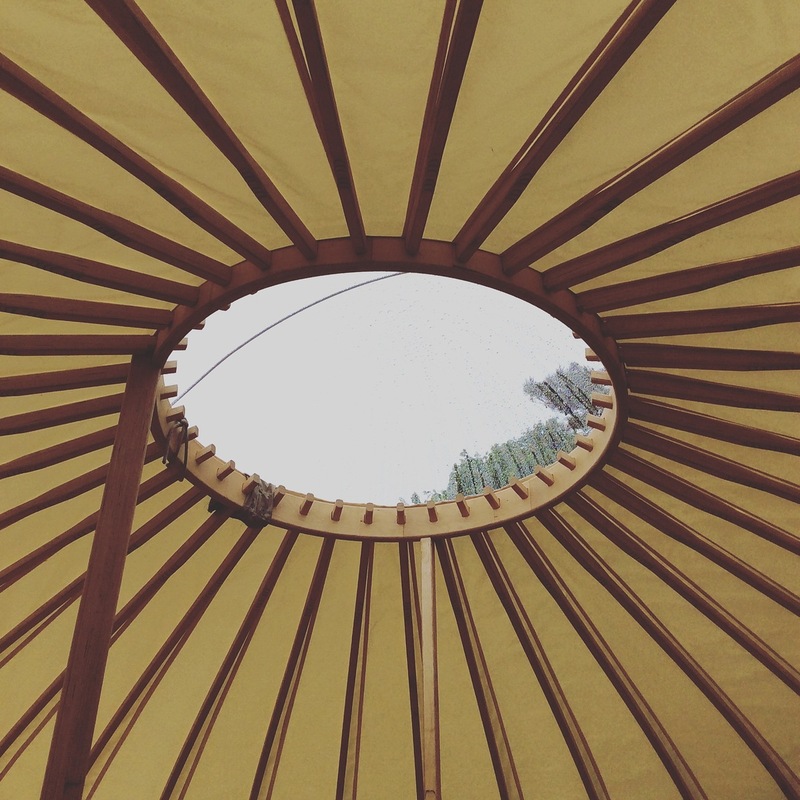 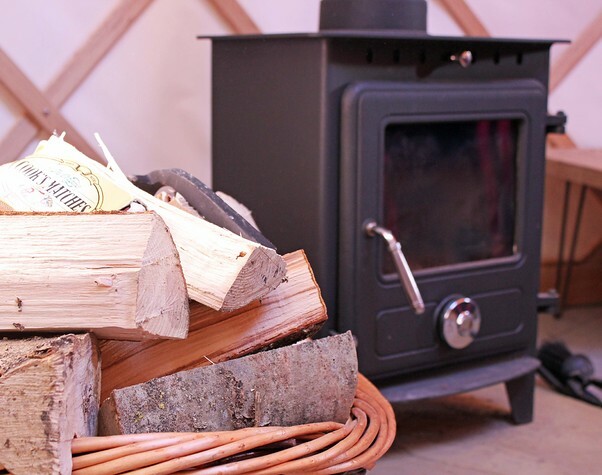 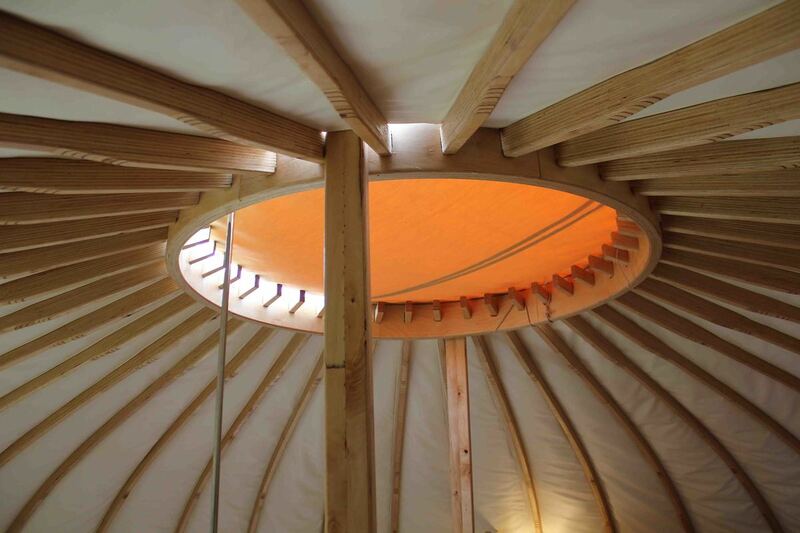 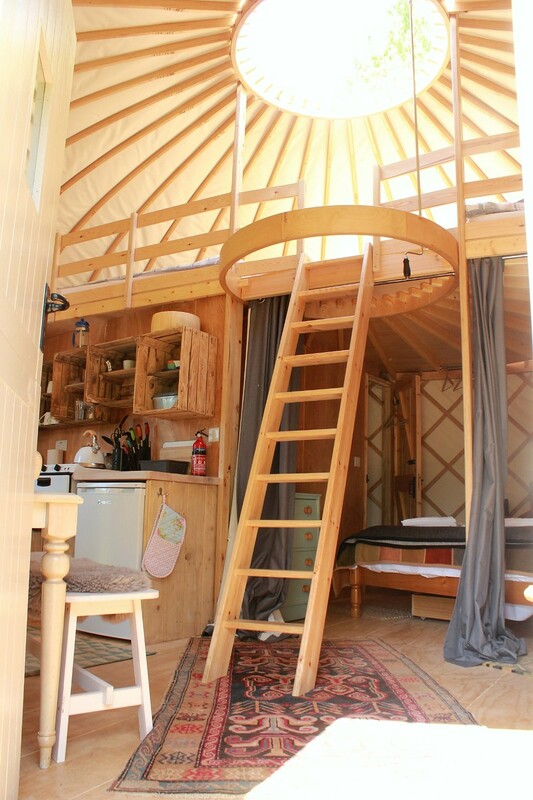 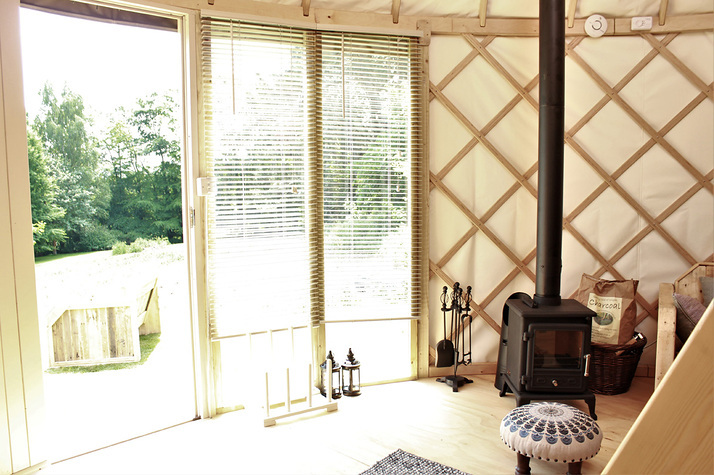 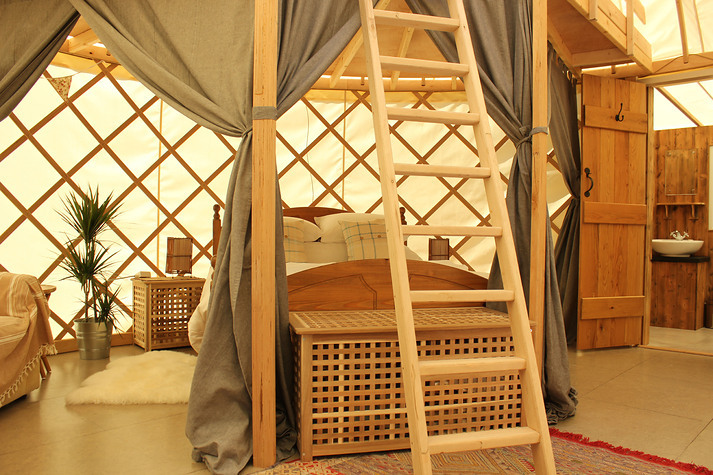 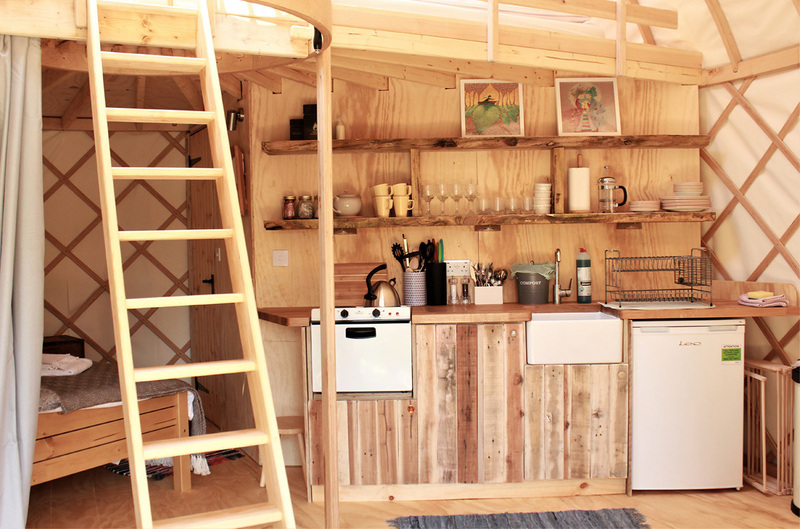 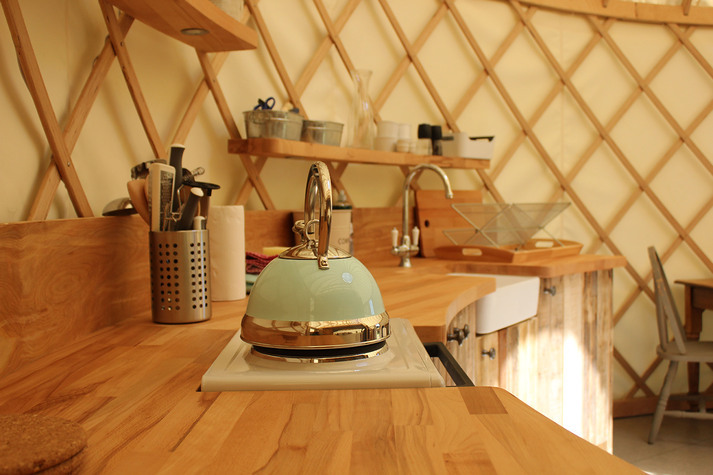 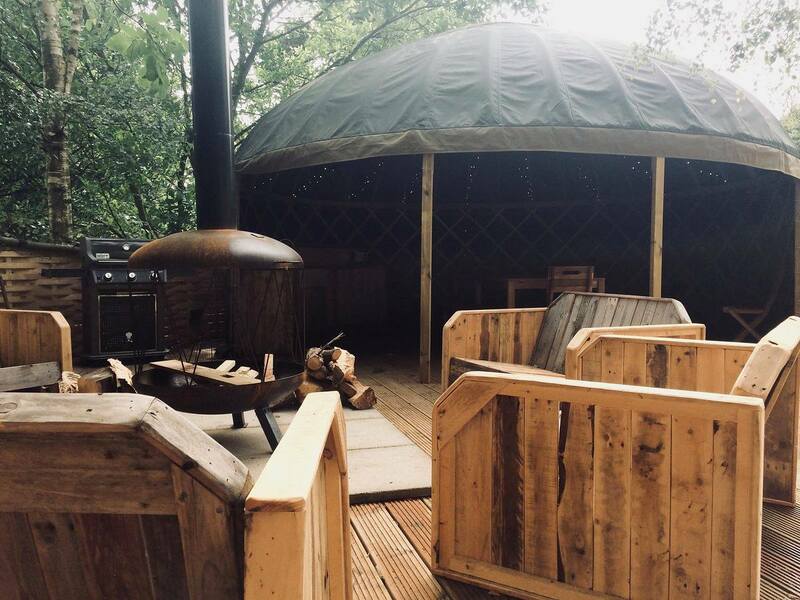 Each yurt also has a woodburning stove for the colder nights and the perspex dome on the roof winds open and closed. 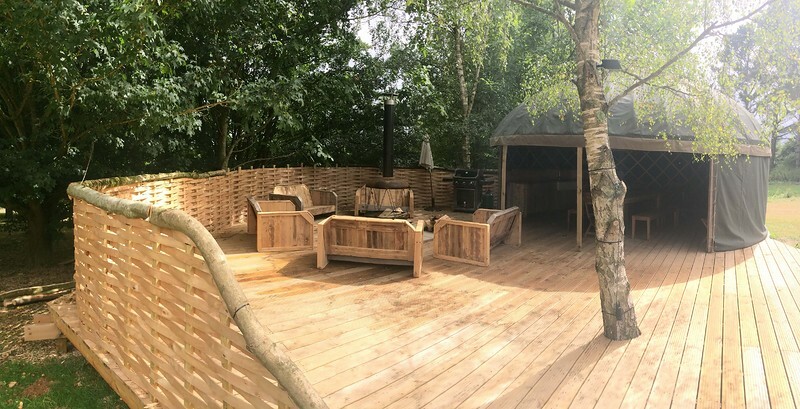 Outside there is a fire pit, seating, hammock and BBQ. 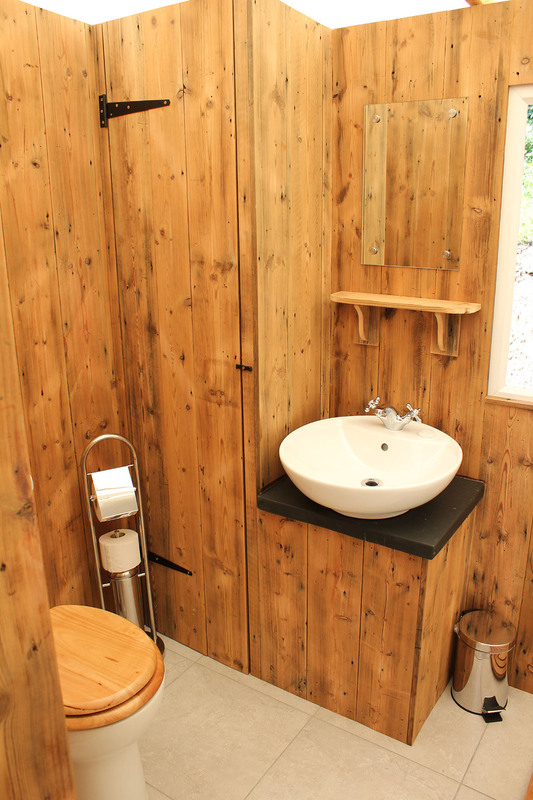 The yurts have USB charging sockets for phones and devices and one 13amp domestic socket. 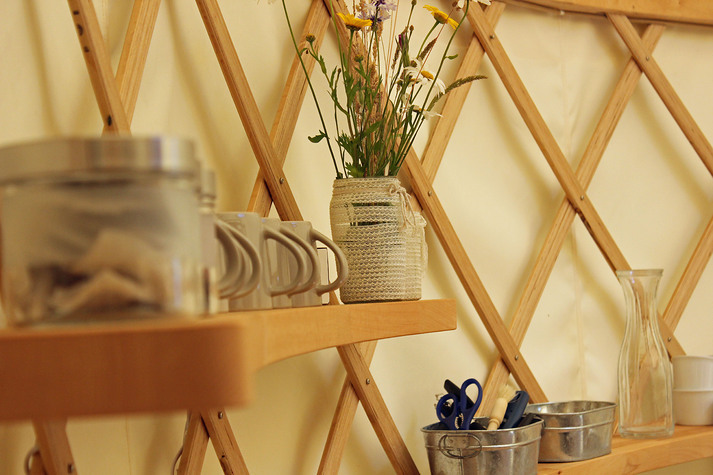 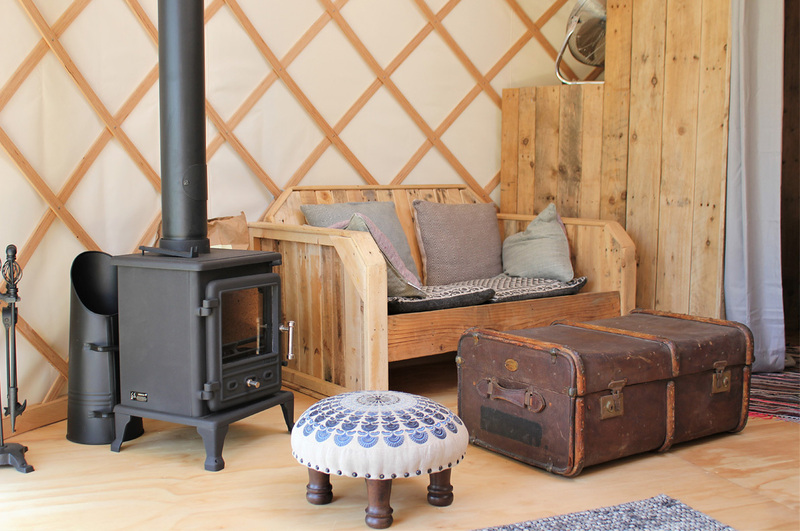 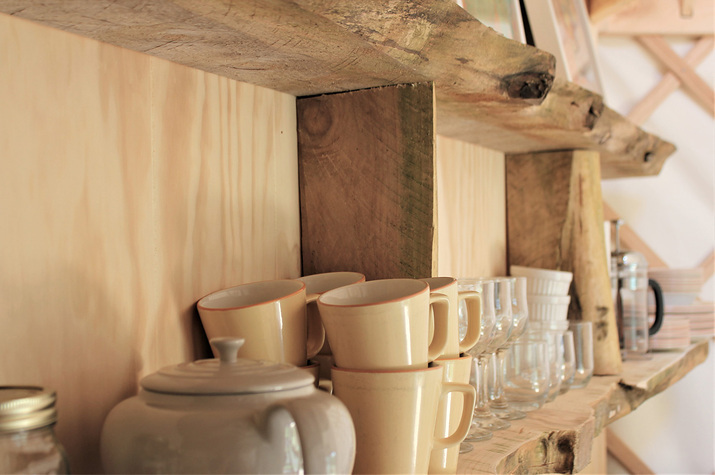 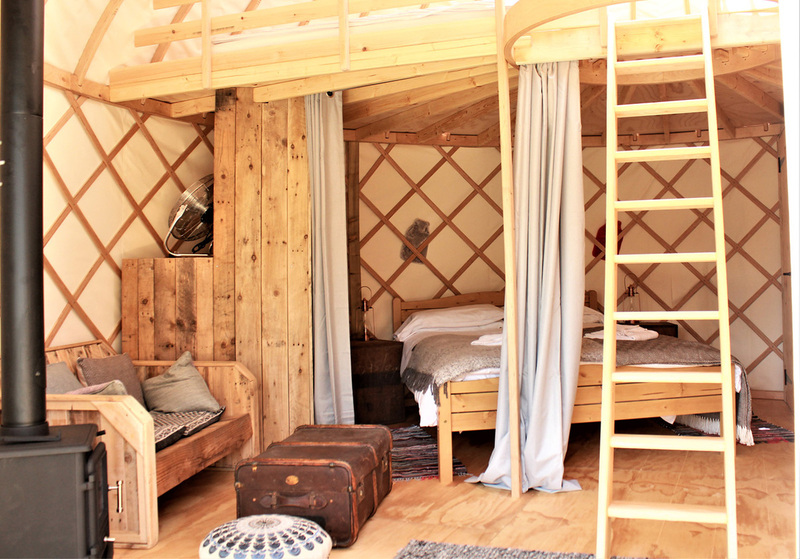 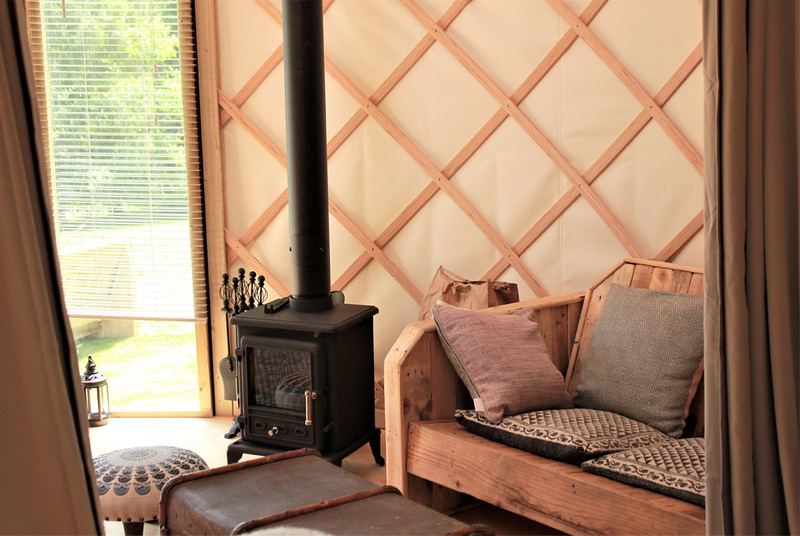 There is no wifi in the yurts but guests can connect in the games room, farmshop and restaurant. 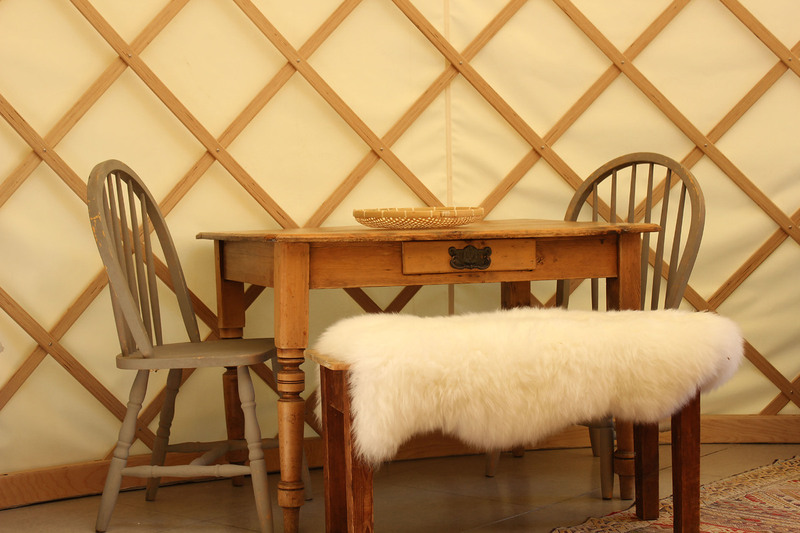 We do not allow dogs in the yurts. 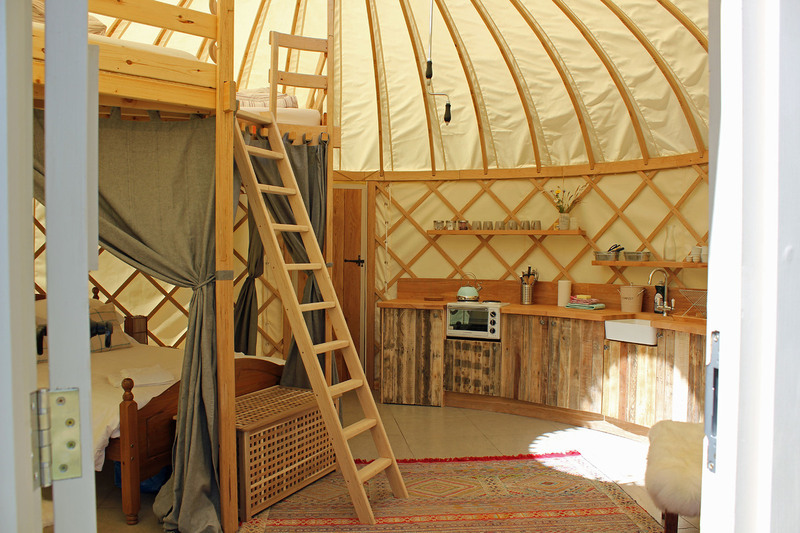 Each of the yurts is 6 metres in diametre but they are all different in layout. Booked together the yurts make fantastic group holiday experiences sleeping up to 24 in total. 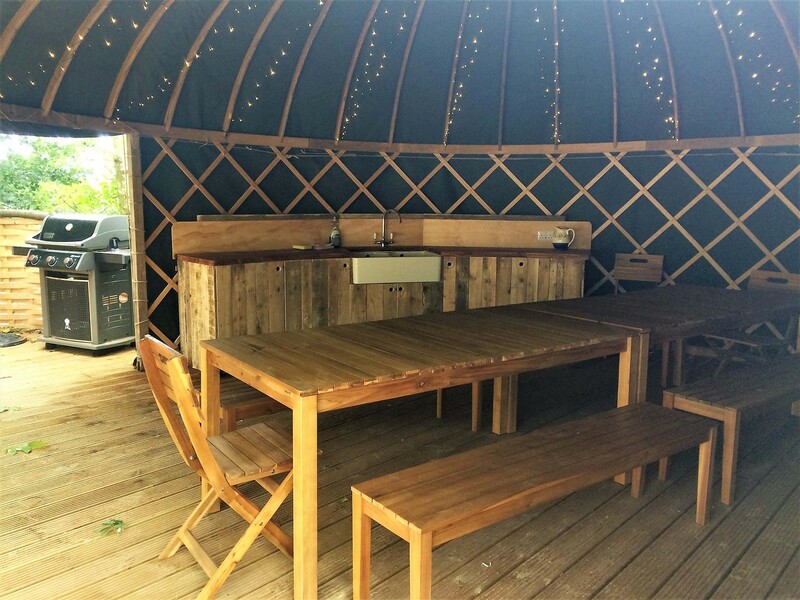 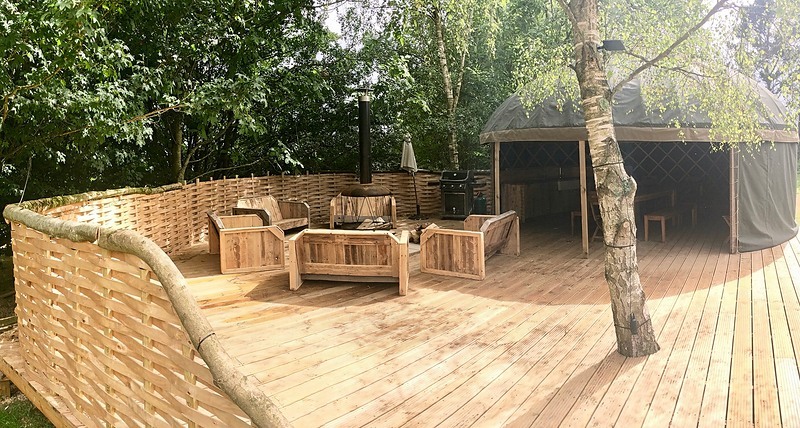 We have a communal deck with firepit and seating and dining yurt comfortably seating up to 25 people with food prep and wash up facilities.